I’m going to write this post assuming that you already know how elf on the shelf works. I’m guessing by now you have some idea since that silly elf is all over facebook and pinterest, but if you don’t know you can read about the tradition here. I want to show you a round-up of my favorite things our elf did last year, but I thought it would be nice to offer a little advice first. 1. Don’t over do it! If you do a big thing every single day you are going to get burned out fast. I think Pinterest makes it look like you have to do a huge production every day, but limit those to once a week, twice a week, or every other day. Whatever you think you can handle. Our elf has done some pretty big things, but the thing my kids loved the most is when he was on the curtain rod in their toy room, which happens to be the easiest thing I have done with him. Simple things are still magical and fun. You don’t have to necessarily write down what you are going to do everyday, but maybe have a plan in your head for the next three or four days. Believe me, when all of a sudden it is 11:30 at night and you are tired you won’t know what to do with the little elf. If you have a plan you’ll already know where to stick him. There are a few great elf on the shelf calendars out there. This one is my favorite. Incorporate your kids’ toys somehow, they are perfect props. I’ve seen elves riding in Barbie cars, reading stories to toys, sharing a soda with Barbie, turning cars into reindeer for a sleigh. My boys think it is so funny when their toys are “interacting” with our elf and it only adds to the magic. Your kids will be less likely to touch him if he’s up high. Once your kids know the rules about not touching him you can get a little more adventurous where you put him. The Elf on the Shelf is one of my favorite traditions I’ve ever started. I love watching the excitement and wonder on my kids’ faces. I love that their world is still magical and simple things still delight them. Keeping those things in mind makes elf on the shelf so much fun for me. 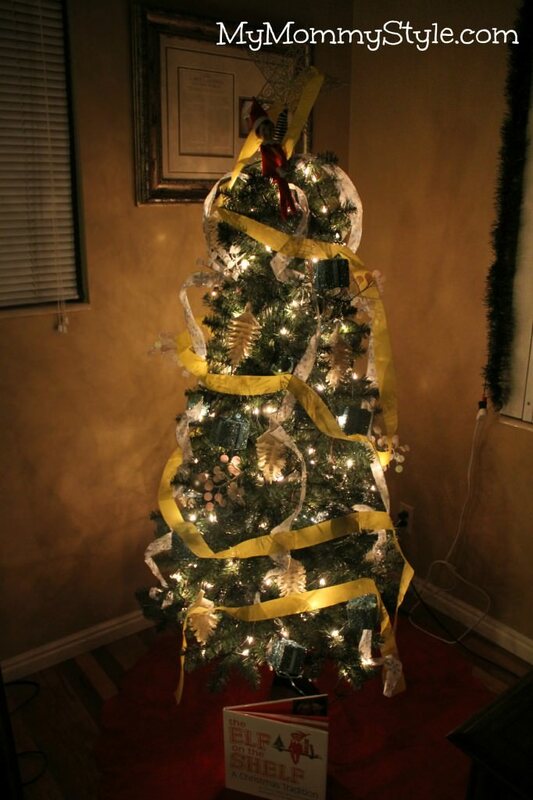 I know the holidays are a hectic time and adding one more thing to list seems crazy, but the elf doesn’t have to take up that much of your time (check out advice #1). My kids still talk about our elf, Streamer, to this day. We write him letters and my kids are counting down the days until he shows up. Believe me, the elf on the shelf tradition is worth it! Okay, now on to my pictures! Streamer drew silly faces on our pictures with a dry erase marker (make sure it’s dry erase for easy clean up!). Oh no! Streamer was captured by Curious George and his friend. At least they’re friendly monkeys. Streamer brought a countdown chain one day with a bag of candy, he also had a letter in his hands that explained that they got to pick out one piece of candy each day after tearing off a link of the chain. On December 1st Streamer showed up with a “North Pole breakfast” to celebrate the month of December. We ate Christmas lights cereal (Fruity Pebbles), Elf oranges (Clementines), snowballs (powder donuts) and Santa’s favorite hot chocolate. Streamer is hanging on for dear life to this parachute guy. Streamer has a little mischievous side to him. He painted their noses red while they were asleep. 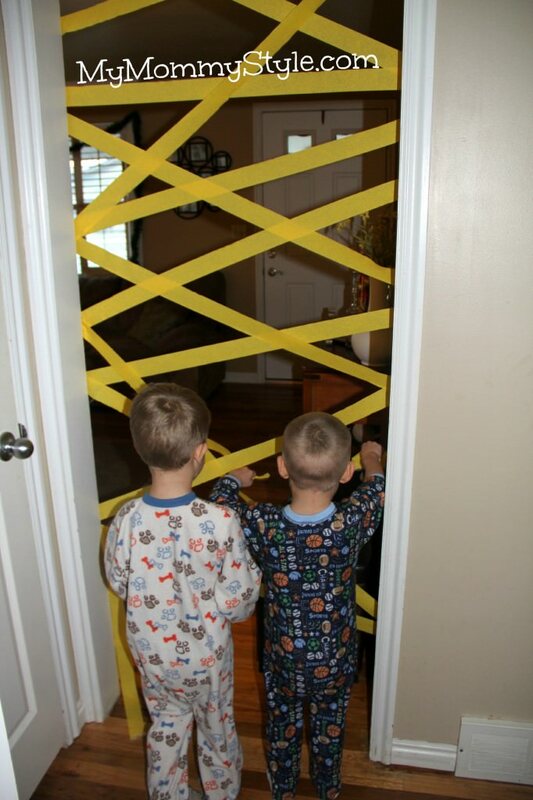 This is on Christmas Eve my kids waving goodbye to Streamer. 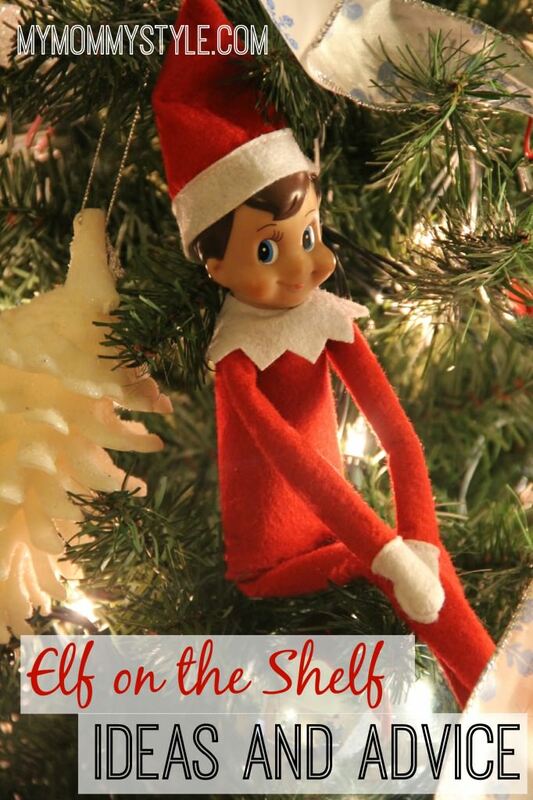 Don’t forget you can find more elf on the shelf ideas HERE or buy our FROZEN Elf on the Shelf e-book that includes 25 days of Frozen Elf on the Shelf ideas for only $2.99! We have used items you can find around the house and it is such a fun way to bring the two together!